This rug is perfect in my home. I bought it to add a touch of color to a blah area. It's like a low plush carpet. The only negative I've noticed so far is that one area of the burgundy edging twine has separated. I need to get some heavy duty thread and go over that. Otherwise, totally happy with this rug. Great accent piece. 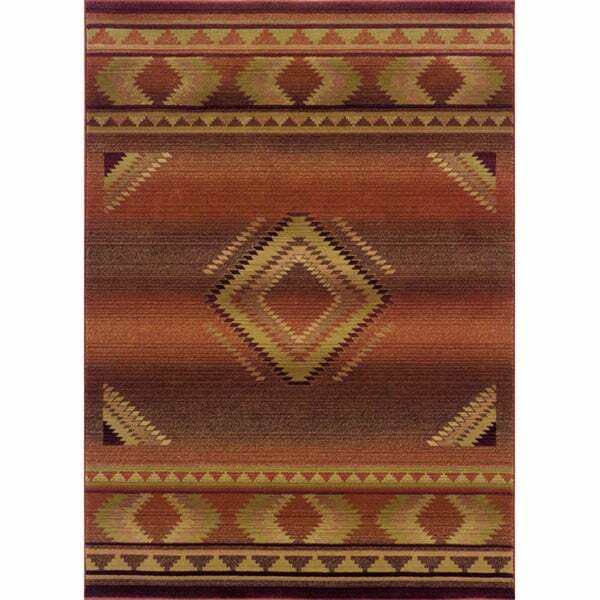 Generations Transitional Red/ Beige Rug (2'3 x 4'5) - 2'3" x 4'5"
Generations Red/ Beige Rug (4' X 5'9) - 4' x 5'9"
A southwestern/tribal motif area rug in a rich palette of red, green, beige and brown. Featuring a durable yet soft polypropylene construction this beautiful rug will make a wonderful addition to any room. Dimensions 53.15 In. X 26.77 In. X 0.43 In.